. إن الخدمات الممتازة وحسن الضيافة العالي في Central Railway Hotel تجعل إقامتك تجربة لا تنسى. لضمان راحة ضيوفه، يقدم الفندق الخدمات التالية: واي فاي مجاني في جميع الغرف, واي فاي في المناطق العامة, صف السيارات, غرفة عائلية, جولات . تعكس غرف الفندق البالغ عددها 35 المنتشرة في 3 طوابق جواً من الدفء والألفة.خدمات عصرية مثل تلفزيون بشاشة مسطحة, اتصال لاسلكي بشبكة الإنترنت (مجاني), غرف لغير المدخنين, مكيف هواء, تدفئة موجودة في بعض الغرف المختارة. كما أن مجموعة الخدمات الواسعة الموجودة في الفندق لضمان راحتك تترك لك الكثير من الخيارات لقضاء وقتك أثناء فترة إقامتك. اكتشف مزيجاً ساحراً من الخدمة الاحترافية والخيارات الواسعة من وسائل الراحة والمتعة في Central Railway Hotel. Friendly and helpful staff. Totally enjoyed my stay here and will be returning in April😁 Great housekeeping team and location is about 7-8 mins walk to Central Station. Bus stop just 50m from Hotel. Excellent location. Appreciate the coffee corner too. So happy that the receptionist helped us in finding a taxi because the one we booked was nowhere to be found. She was so nice and hospitable. I just didn't get her name but she has a short hair and I think she's around 40 year old. Thank you again! Kamar luas, dengan fasiltas yang cukup baik antara lain microwave, pemanas air minum dan pemanggang roti. tersedia minuman kopi setiap pagi di halaman hotel. Lokasi hotel cukup strategis sekitar 1 km dr Central Station (dapat dijangkau dengan berjalan kaki atau naik bis) kekurangan hanya tidak ada lift sehingga bila mendapat kamar di lantai atas sedikit repot untuk membawa koper. I was looking for a hotel near Central Station and came across Central Railway Hotel in my search. I read reviews about the hotel, which were good and I made a good choice. 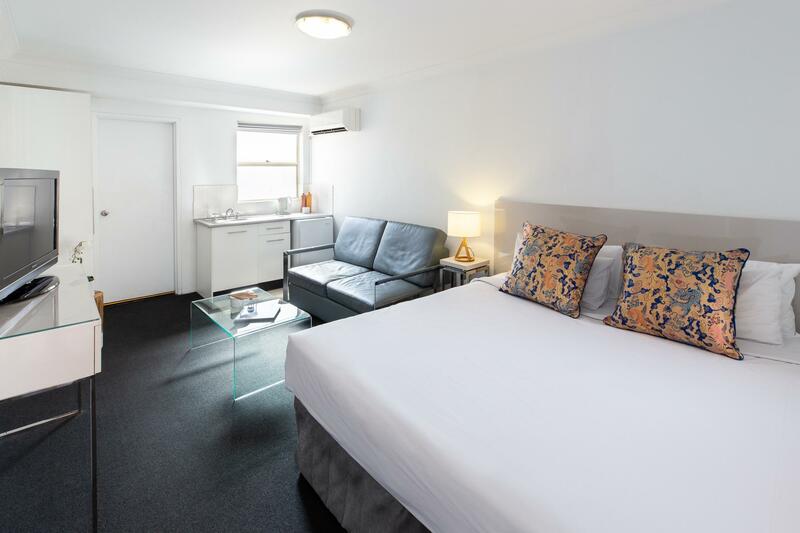 I will certainly stay in Central Railway Hotel in my next trips to Sydney and will recommend this hotel to anyone who is visiting Sydney. First of all, I appreciate the receptionist who assist us for the days we stay over, she was friendly and helpful indeed. The room was clean and neat, the hot water supply was smooth. Will come back to stay again. 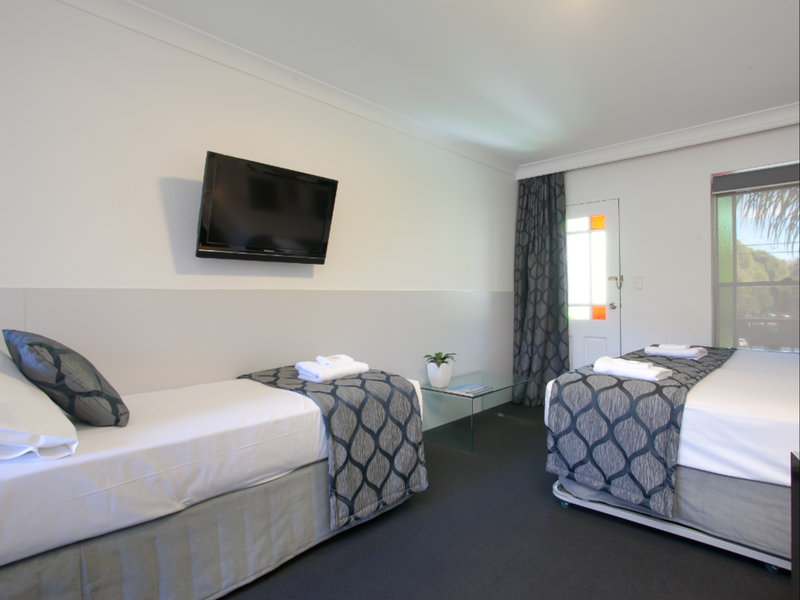 Cleanliness, large rooms, friendly staff. Pleasant place to stay. A tad out from the railway station. But walkable. Surrey Hills has plenty of eating places, cafes, bars, restaurants and many Halal outlets. Only inconvenient is it has no elevator and I was up at the 3rd floor. Overall, it was a pleasant place to stay. Large room with a small kitchenette. The hotel is clean and good wifi coverage all over. You can book day tour from the reception. Other than just clean and comfy beds and bathroom, there's really nothing much worth mentioning about the hotel facilities. The building is really aged. There is no cafe, lift or toilet on the ground floor. Location was a plus, tho still a 15 minutes walk to Central Station. Nevertheless, Ahmed, the hotel manager and his assistant, Etan tried their best to make up for all the misses and lack. Their service went an extra mile and saved the stay. Simple design of building, we have to bring the huge baggages up by a stair to the ground floor of hotel. But other things about this hotel is good. Nice staff, free Nespresso (coffee) at every morning. Clean bedroom bathroom. The room for 3 persons has a little kitchen part (microwave, washing sink, fridge, dishes and glasses), so we can cook a urban meal somedays. Location is not far from bus station and train station to the airport. 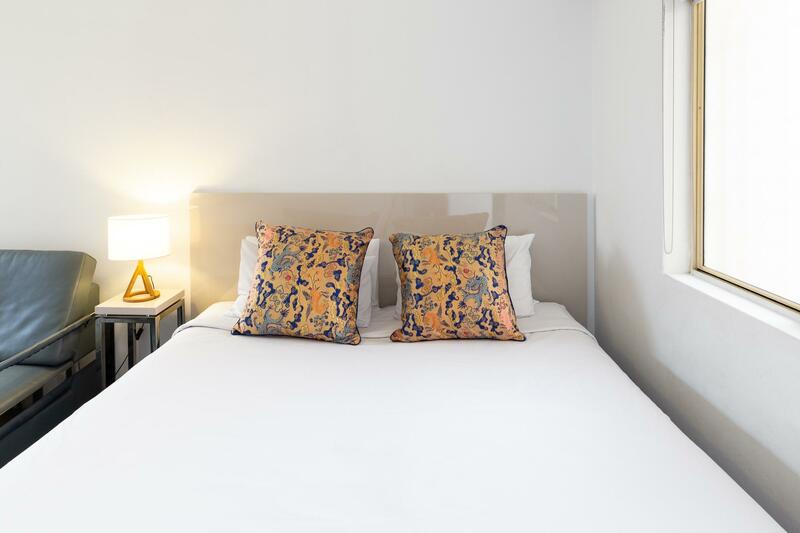 Very recommend for who looking to stay in the city of Sydney. Vicky and Dawne at reception are always welcoming, considerate and willing to meet guests needs. 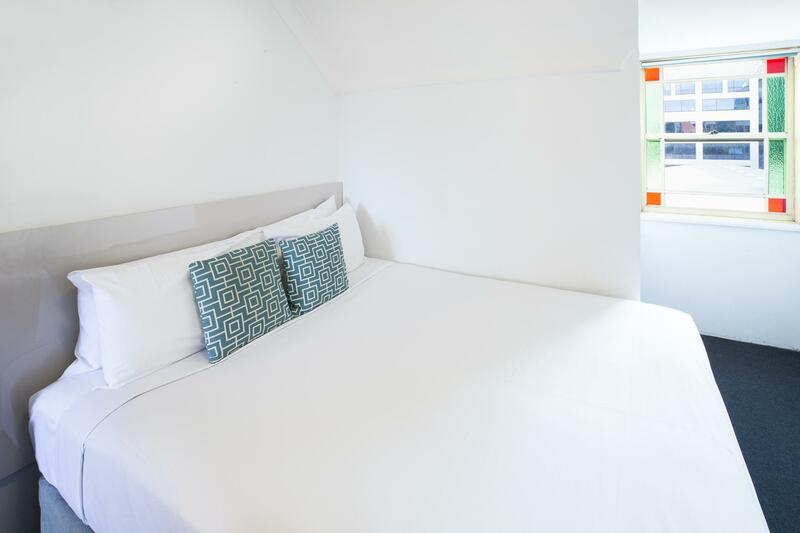 We are repeat guests and appreciate the clean room (serviced daily) with ensuite, mini fridge, cutlery, crockery, microwave, sink, convertible lounge, opening windows and small furnished communal courtyard with drink and chip machines and pod coffee. 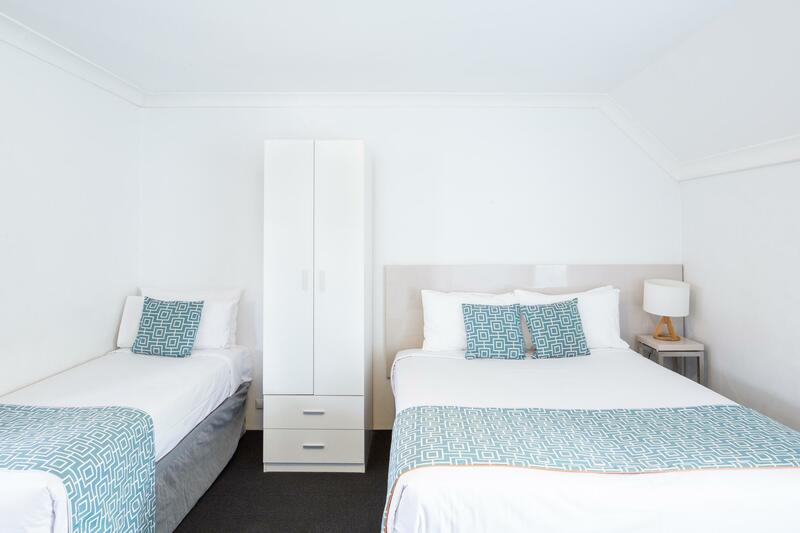 Easy walk to both Central and Redfern stations. Bus stop out the front. Clean and reasonably priced. Quite easy to get to key attractions, it's about 7-8 minutes walk to Central station, and there is also a bus station across the street, . Room is adequate for 4 adults as we just spend time in the room at night. Coffee and some bread are provided for breakfast. The receptionist working the morning/day shift is very friendly and helpful. Good for 2-3 days stay. Spotless clean, quiet, well equipped rooms, a TV in the bedroom would have been nice. Staff were very obliging and helpful, The building lacks a Lift, but is just 3 floors high. We used the on site car park which was quite secure(had to pre-book as there is limited space) Very handy to Central Station & CBD. The hotel is a little bit outdated but clean and located near Central Station, less than 10 minutes walking. Some places to eat and convenience stores are nearby. The hotel staff also very nice and helpful. Overall, I love staying in this hotel. Staff friendly. Hotel apartment simple, conform, clean and nice. Walking distance to train station and bus station, very convenience. If you are coffee lover, the area got a lot of coffee shop. Will sure come back stay again if i go Sydney. Good and quite location. Rare mini-market around the hotel. Staff good and friendly. The room cleaning services do not have a standard performance. One day they forgot to empty the bin.. the other day they forgot to fill the coffee n tea bucket.. then forgot to change the towels.